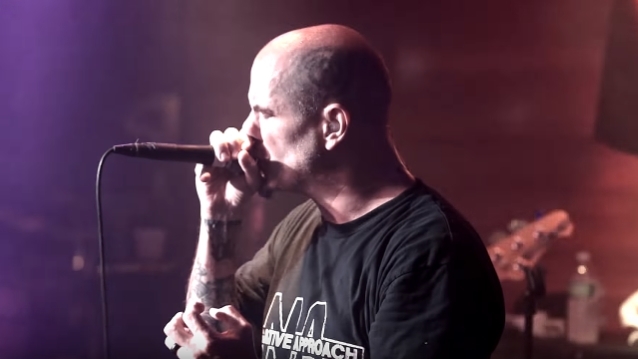 Professionally filmed video footage of PHILIP H. ANSELMO & THE ILLEGALS, the project led by the former PANTERA and current DOWN/SUPERJOINT frontman, performing the song “Delinquent” on September 6 at Santos in New Orleans, Lousiana can be seen below. 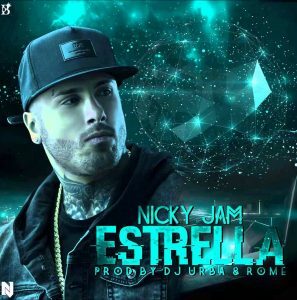 The clip was shot by Mike Holderbeast, with audio recorded and mastered by Steven W. Richardson. “Delinquent” is taken from PHILIP H. ANSELMO & THE ILLEGALS‘ sophomore album, “Choosing Mental Illness As A Virtue”, which was released in January via Anselmo‘s Housecore Records in the U.S. and Season Of Mist in other parts of the world. 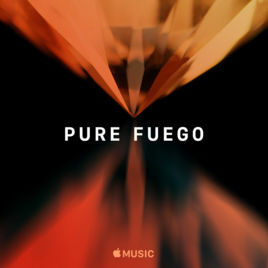 The disc is the follow-up to PHILIP H. ANSELMO & THE ILLEGALS‘ debut, “Walk Through Exits Only”, which came out in 2013 to mostly positive reviews. 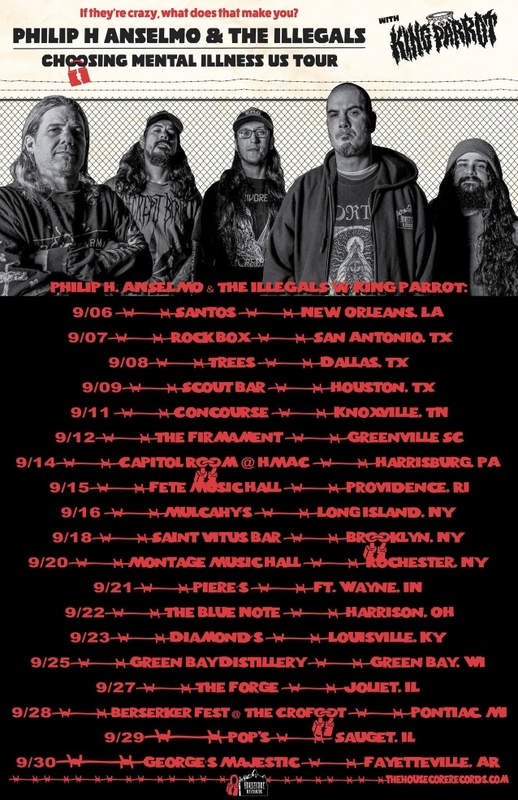 PHILIP H. ANSELMO & THE ILLEGALS are currently touring the U.S. with Housecore labelmates KING PARROT. The trek, previously scheduled for the spring but postponed following Anselmo‘s back surgery, commenced in New Orleans and will include a stop at this year’s edition of Berserker Fest on September 28 in Pontiac, Michigan.